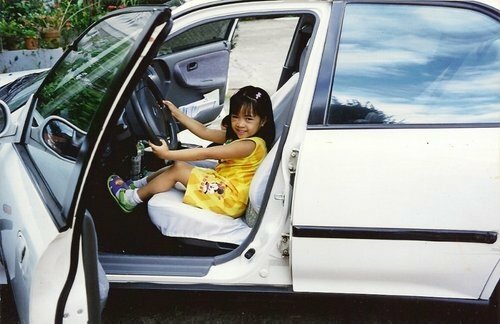 Ever since I was a little girl, I’ve always dreamt of driving my own car, or just driving a car, really. It was so cool being behind the wheel (or the manibela in Filipino), steering it whichever way you wish. That dream of becoming a non-professional driver should have been fulfilled summer last year if only I wasn’t such a professional procrastinator. This summer, however, I decided to make a U-turn. I made a vow to myself to learn how to drive before ending my teen years. 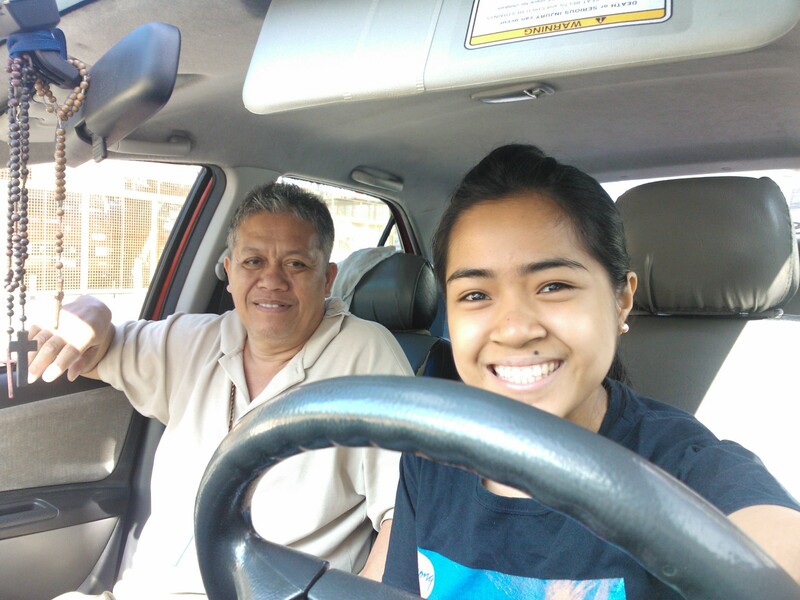 And so, three days ago, I embarked on my first ever driving class! The experience was thrilling, quite nerve-wracking, and fun all at the same time. I can’t begin to describe it. Oh wait I just did. Dad brought me to Socialites Pasong Tamo in our car. 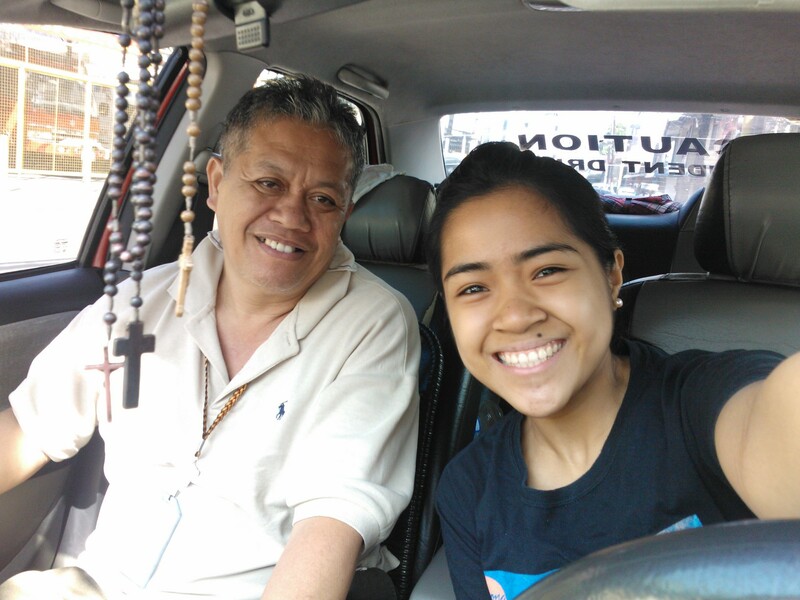 When I got off, Ate Grace, the receptionist, ushered me to the vehicle, where my trainer, Mang Vic, patiently waited for me. I sat behind the wheel for the very first time in a long time (since that photo, maybe?). I WAS GOING TO DRIVE ALREADY!!!! Okay, okay, laugh at me. I don’t care. 😀 I’m a scaredy-cat. Well, I was a scaredy-cat until I remembered the men behind me. I remembered the Man who died for me and gave up His life for me, Who promised me that I can trust Him with all my heart. And trust I did. There was another man–the one who inspired me to drive in the first place. The best driver in the world because he took me places even if he was tired (and he didn’t show he was tired, except when he wanted a massage :)). The man who made sure I was safe that day, so he followed me around in our car, waiting patiently for the hour to end. So Mang Vic gave out the instructions. Press on the clutch all the way down, change gear to 1 (primera), step on the gas, then slowly release the clutch. THE CAR MOVED! I ‘moved’ it! This is awesome! Although driving was easy in principle, it wasn’t easy in actuality, especially if you’re driving a manual. Dad wanted me to train in manual because it required a different discipline compared to an automatic, and he would most likely lend me our manual car because the automatic one gulped gallons of gas. I get shocked whenever the engine would die out because I let go of the clutch too much. 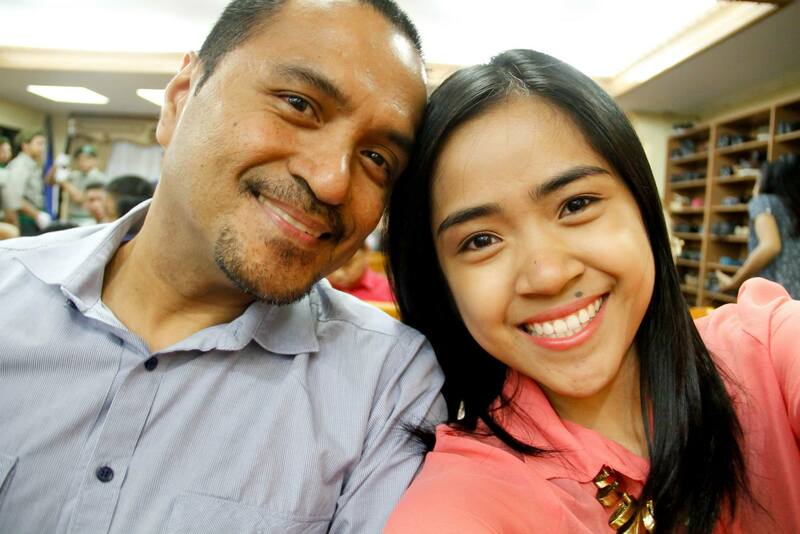 :)) Thankfully, Mang Vic was patient, and by God’s grace, I was pretty alert and responsive to getting back on track. I thought I was the only glad person about actually driving, but as it turned out, my Mom and my lola (grandmom, Dad’s mom) were even happier. When I stepped inside the house, they were seated in the dining table, smiling and eager to ask me questions. And ask they did! It was like nursery class all over again, with my parents asking how school went and how I felt. I wanted to tell them every single detail but I only skimmed through it, as there was crispy bacon lying seductively on the table, luring me to partake in its lardy glory. Nonetheless, I think they saw how happy I was because I could not find the words to describe everything. The next two days were more challenging, especially today’s session. Yesterday, Thursday, Mang Vic taught me how to “hang” on an incline and turn left and right. Turning left and right was harder than I thought, especially around Makati’s city streets with the hard, thick gutters! Again, my Dad followed us around, this time, for two hours. By the third day, I trusted Mang Vic even more. I regret not getting to know him and really engage him in a Godly conversation because I was quite nervous on the road. Nonetheless, I got to know him a bit. My level of trust for him increased when I found out he’s been teaching driving to various people of different sizes and ages for more than 26 years! Although he spoke fast at times and kept mentioning “kaya maraming naa-aksidente” (that’s why a lot of people get into accidents), I appreciated his honesty, clarity, and concern. Today I had to trust him even more because we did the thing I was very nervous about: driving in the highway. 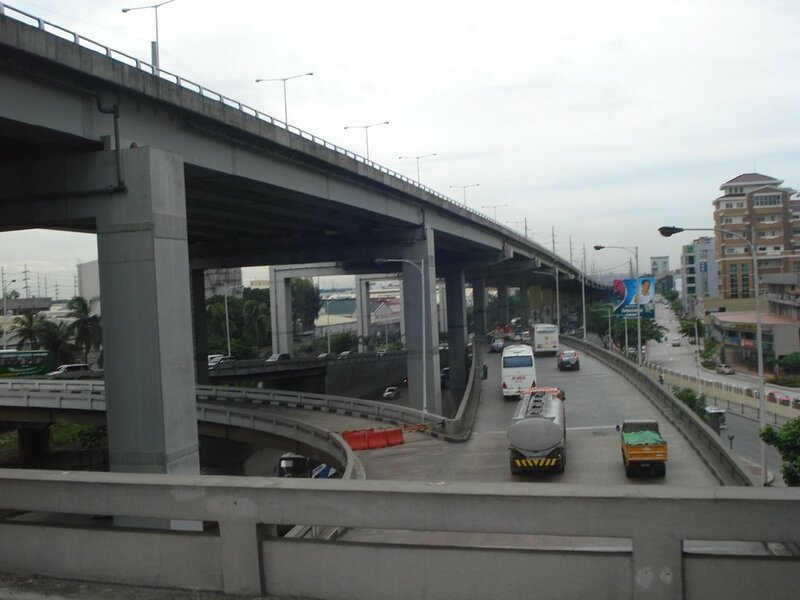 Again like the first day when he shocked me with actual driving, Mang Vic gave me the jitters again when he told me to go straight along Zobel Roxas st. along the riles (railroad track) and turn left, exiting Makati proper, going to South Super Highway. It was about 7:45 AM at that time, traffic was light, and I was quite agitated. What if I suddenly stop in the middle? Will I get bumped from behind? Will it be the end of me as I know it? Until I can apply for a non-professional license, I have to have someone with me (someone with a license) whenever I drive. Thankfully, I’ve got my Daddy. He’s the best driver I know. You can sleep even as he drives along a literally rocky road. He can get a car out or park it in even if it’s only 3 inches away from hitting a wall or another vehicle. My confidence in safety lies in his expertise, and of course, his love for me. 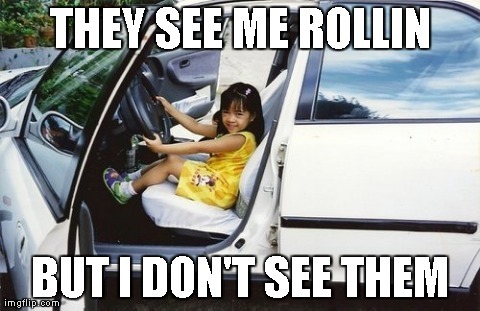 So if you see me rollin one of these days, you better be ready…. Author Jenny J. TalamPosted on 25 April 2014 25 April 2014 Categories Life In GeneralTags 2014, driving, driving school, Faith, God, Jenny J. Talam, Jesus Christ, lessons, Manila, Philippines, Socialites, talamLeave a comment on I’ve Got The Drive!